For nearly a century, Price Pfister has been a leader in the plumbing industry, creating kitchen and bath faucets and accessories that are stylish, innovative, dependable and affordable. Price Pfister products are unsurpassed in quality. Through advanced manufacturing techniques and rigorous product testing, they continually develop durable products with innovative features that are often industry-firsts. 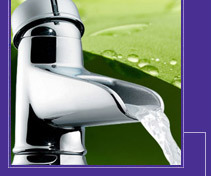 What’s more, Price Pfister offers a lifetime, leak-free guarantee of quality on all Price Pfister faucets that covers both finish and function.